4-6pm: Enjoy chairlift rides to the top of the mountain. 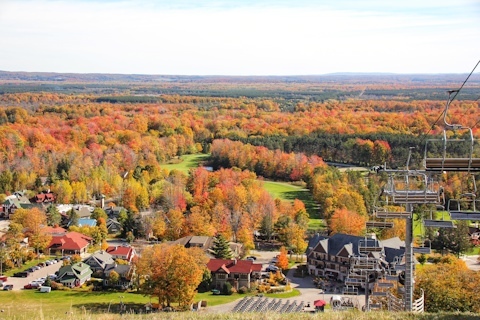 Soak in the panoramic views of three counties while you view the fall colors. Live music featuring John Pomeroy will be provided at the base of the Crystal Clipper chairlift. 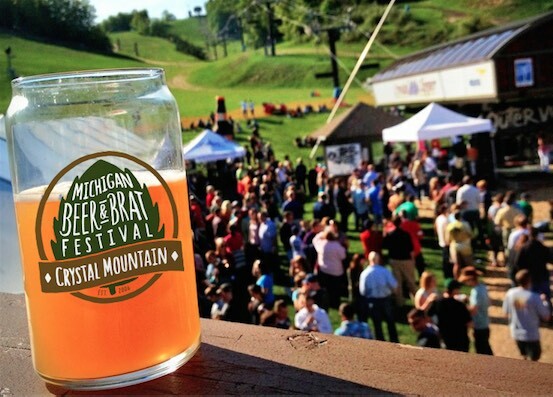 The 13th Annual Founders Peak2Peak Mountain Bike Classic is held in and around the beautiful, gently rolling terrain surrounding Crystal Mountain. The race starts and finishes near the base of the front-side slopes. Riders journey through hardwood and pine forests along rambling two-tracks and flowing single-track on a course that is fast and challenging, but not so difficult that racers new to the sport won’t have a great time. 10am-3pm: Enjoy chairlift rides to the top of the mountain. Soak in the panoramic views of three counties while you view the fall colors. 1pm: Register your kids for the Tour De Tykes Races at the Mountain Adventure Zone! Future Peak2Peak Mountain Bike racers are invited to participate in the annual Tour de Tykes or our newly added Tour de Traxs. 2pm: Younger racers (ages 6 and under) can take part in the Tour de Tiny Tykes. Be sure to pre-register at the Mountain Adventure Zone. 2:30pm: The Tour de Tykes race is for racers aged 7-12 years old. Be sure to pre-register at the Mountain Adventure Zone. All participants receive medals and are sure to have a great time! 3:30pm: This race is for young, enthusiastic riders ready for a challenge! Racers ages 8 + will start and finish at the Peak2Peak gate. This single lap, 5-mile course will challenge young Mountain Bikers to push their limits. Finisher medals for all racers and place medals to the top three overall. Just $20 per racer! For more information, please call the Mountain Adventure Zone at 888-968-7686 ext. 7500. Enjoy select massage, facial, body treatment and nail services for a great deal! Crystal Spa Days is available October 1 – November 25, 2018.